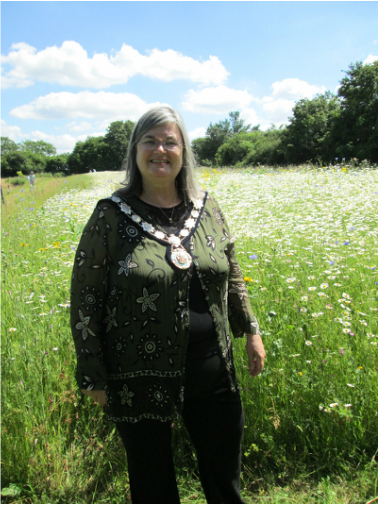 ﻿The Flower Meadow was officially opened on 21st June 2014 by the Harpenden Town Mayor Mary Maynard. Councillor Caroline Vincent also kindly attended. Cross Lane plot holders provided a beautiful spread of food and drinks to mark the occasion. The event was well attended and the flower meadow looked spectacular. 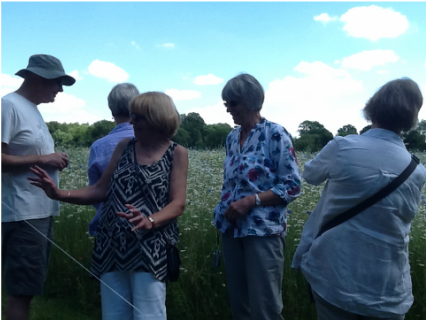 Flying insects were in abundance, showing that the Flower Meadow is becoming a wildlife haven. ﻿ Special thanks go to Jenny Stevenson and Chris Overton for all of their hard work in creating the Flower Meadow. How the Flower Meadow looked on 21st June 2014. Simply stunning! 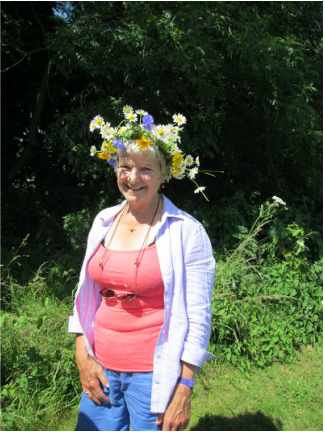 Mary Maynard, Town Mayor, standing in front of the Flower meadow. Food and drinks provided by the Cross Lane plot holders to mark the occasion. Everybody tucked in. It was delicious! Jenny Stevenson showing off the flowers! Photo submitted by Hazel Upton. Everyone enjoyed themselves! What a great afternoon!